Criw Cymraeg have had lots of new Welsh games and resources to use in our clwb Cymraeg! At Pontarddulais Primary our Criw Cymraeg consists of pupils from Year 2 to Year 6. The Criw are enthusiastic about promoting and encouraging the use of Welsh throughout our school. They are excellent role models to others and lead by their example. Beth yw’r manteision o gael Criw Cymraeg? What are the benefits of having a Criw Cymraeg? They promote the use of incidental Welsh throughout the school. Maen nhw’n hybu iaith achlysurol drwy’r ysgol. They promote a Welsh ethos throughout the school. Maen nhw’n creu ethos Gymreig. Maen nhw’n hybu brwdfrydedd am yr iaith Gymraeg. They promote enthusiasm for the Welsh language. 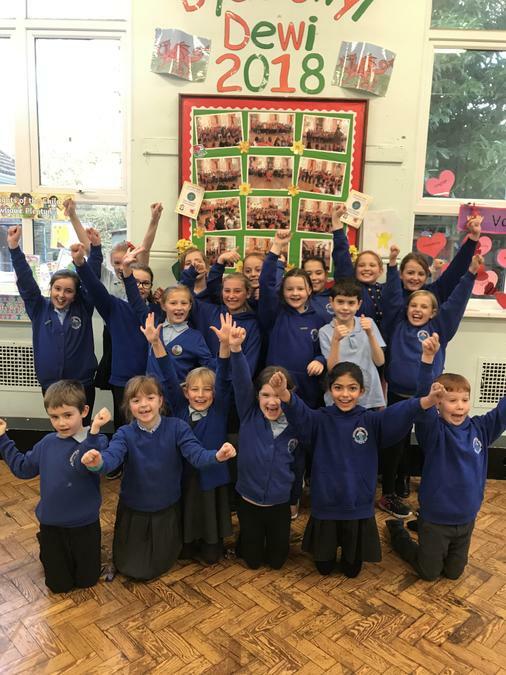 The Criw Cymraeg lead playground games in Welsh, they read with younger pupils, promote the ‘Phrase of the week’ and organise fun activites and competitions such as, Diwrnod Shwmae, Dydd Gwyl Dewi (St David’s Day) and Wythnos Cymraeg (Welsh Week). They lead their own assemblies and present awards to the Dosbarth/Athro/Athrawes yr wythnos (class and teacher of the Week). 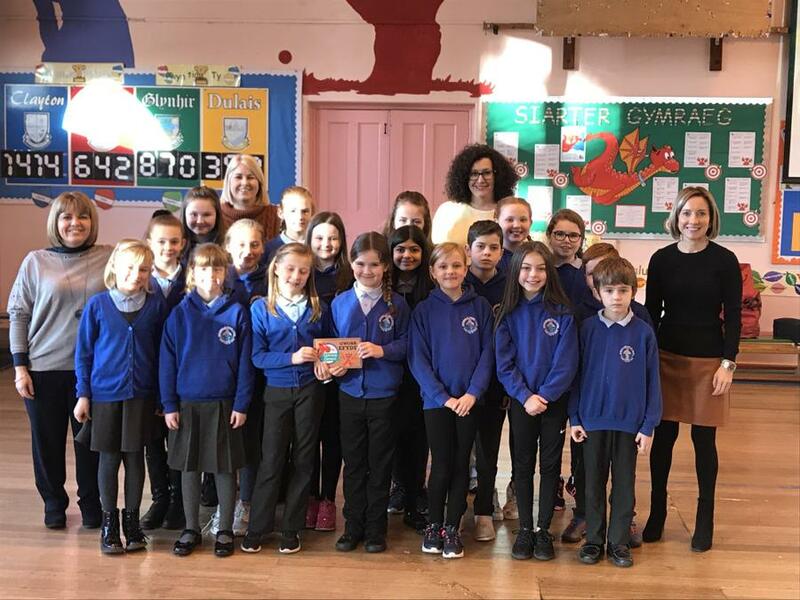 The Criw Cymraeg are proud to have recently achieved the Siarter Iaith Bronze Award, they are now keen to progress on to achieving the targets set for the Silver Award. They meet regularly to check the progress the school is making towards achieving the targets, discussing how they can help achieve certain targets and set challenges or tasks for pupils or teachers to achieve. 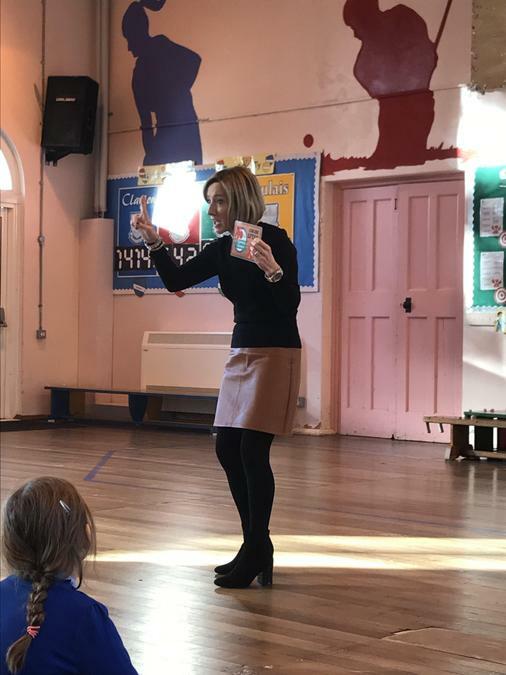 Throughout the week, pupils are rewarded with ‘tocyn iaith,’ language points by teachers or members of the Criw Cymraeg for their use of Welsh. Criw Cymraeg collect the points each week and award the winning KS2 and Foundation Phase class with a certificate, ‘Dosbarth yr wythnos.’ They also award a teacher of the week.